The most popular route is Seattle to Victoria. The average price this month for this route is £56.00 for a foot passenger each way. Booking a ferry in or to Canada is simple, easy and safe with AFerry, just use the booking form above to get a price. Booking a Canada ferry couldn't be easier with AFerry. You can either use the booking form at the top left of the page. Canada is a great destination for tourists. This country really has it all, including an astonishing beautiful nature. It doesn't matter what you like, Canada has plenty outdoor activities to offer you, like Kayaking, White Water Rafting, Beach Volleyball, Rock Climbing, Ice Skating, Skiing, Snowboarding, Golf, Horseback Riding, Swimming, Rollerblading, Snowshoeing, and a long etcetera. Using AFerry you can book ferries to or from Canada simply and easily to help you make the most of any stay. 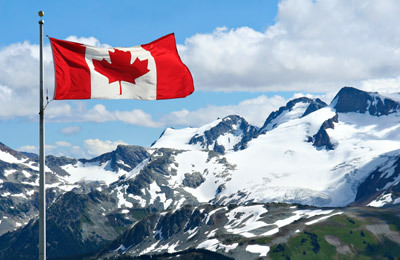 Canada is a multicultural nation with incredibly beautiful landscapes and with a rich and fascinating history. 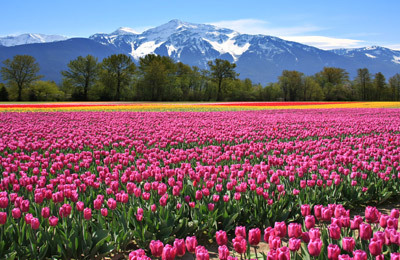 Canada is a country located on the northern part of North America, stretching from the Atlantic Ocean to the Pacific Ocean and to the North, into the Arctic Ocean. It consists of ten provinces and three territories that can be grouped into four main regions: Western Canada, Central Canada, Atlantic Canada and Northern Canada. Its common border with the U.S. is the world's longest land border. Its capital, Ottawa, stands on the south bank of the Ottawa River with a population of less than a million. On the 15th century British and French colonies were established in Canada. North American lands were gained and lost by the U.K. until the 18th century, when it left the territories that currently compose Canada. Today the country is a member of the Commonwealth of Nations and Queen Elizabeth II is the head of the state. 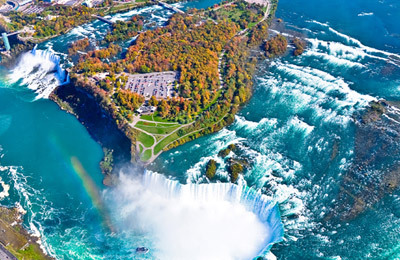 Canada is a cultural melting pot, having influences from a wide range of ethnic groups and nationalities including British, French and the aboriginal culture. The official languages are English and French. Due to its vast extension, the winter and summer average temperatures in Canada fluctuate from region to region. In many parts of the country, winters can be very severe, particularly in the interior and Prairie provinces. The temperature on the summer is pleasant between the coasts but quite high in some interior locations where it can raise up to 40 º C.
Currently on AFerry, you can book a cruise to Victoria, in the island of Vancouver. This is a great way to extend any holiday around the British Columbia area as the ships arrive and depart from the port of Seattle in the Pacific Northwest region. Clipper Vacations provides this service. Canada has plenty outdoor activities to offer you, like Kayaking, White Water Rafting, Beach Volleyball, Rock Climbing, Ice Skating, Skiing, Snowboarding, Golf, Horseback Riding, Swimming, Rollerblading, Snowshoeing, and a long etcetera. AFerry.co.uk offers the best way to find the cheapest ferry routes around Canada with its easy to use booking form. Begin your holiday on a ferry and start relaxing straight away!